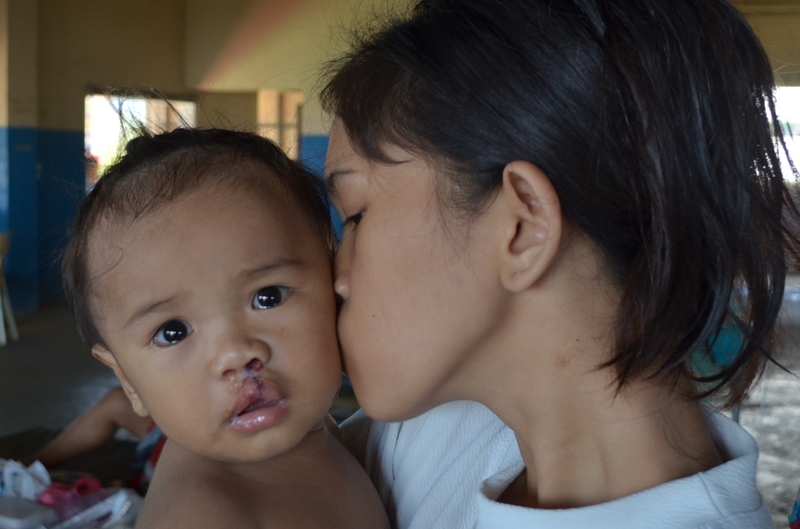 Fifteen patients, primarily babies with cleft lips, are scheduled today; our final day of surgery. 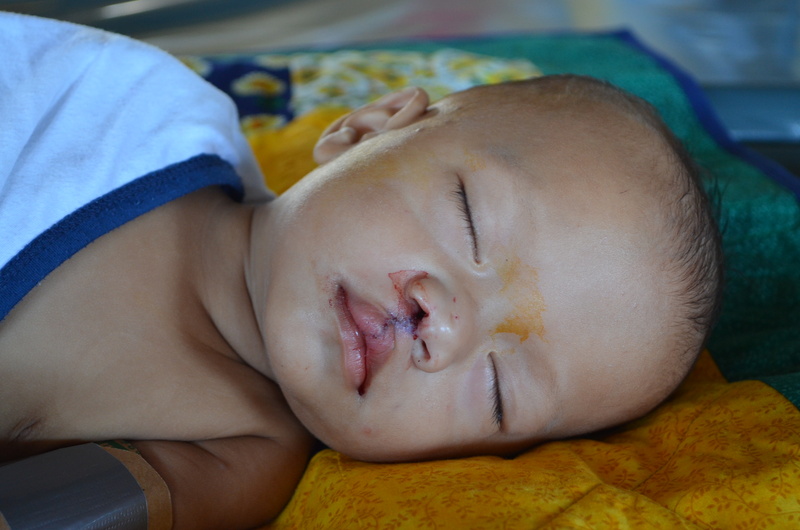 John Nino, 8 months old was in the operating room shortly after 7:00 am this morning. By 9:00 am, John Nino was drapped with a quilt donated to Rotaplast by Wrap a Smile. Wrap a Smile donates quilts for every Rotaplast mission. Every child receives a quilt prior to his/her operation. Thank you Wrap a Smile! By mid-day, most of the babies and young children are done. 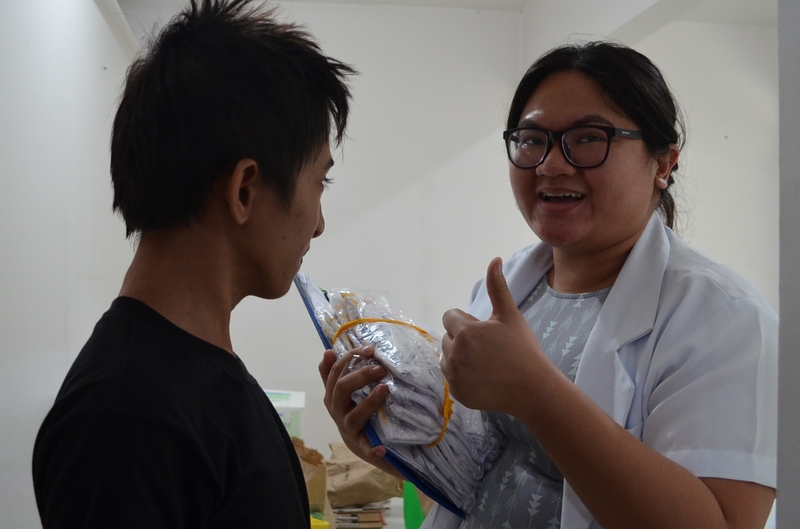 Francis Ian, 16 years old waits with Rotaplast recreational therapist, Bob Arsenault for an operation to repair his nose due to a previous cleft lip and palate. Kient Vinche, 14 years old attends school. He gives me a big smile when he tells me he wants to be an architectural engineer when he grows up. He says that he is sometimes teased and bullied in school. Maria interjects, “Most of the time, his friends are good to him.” Not long ago, his teacher contacted Liza Rago and shared Kient’s story with her. Liza contacted Abounding In Love who then connected Kient and Maria with Rotary Cebu Port Center knowing that the club sponsors a yearly Rotaplast mission. “My child is a good son,” says Maria. 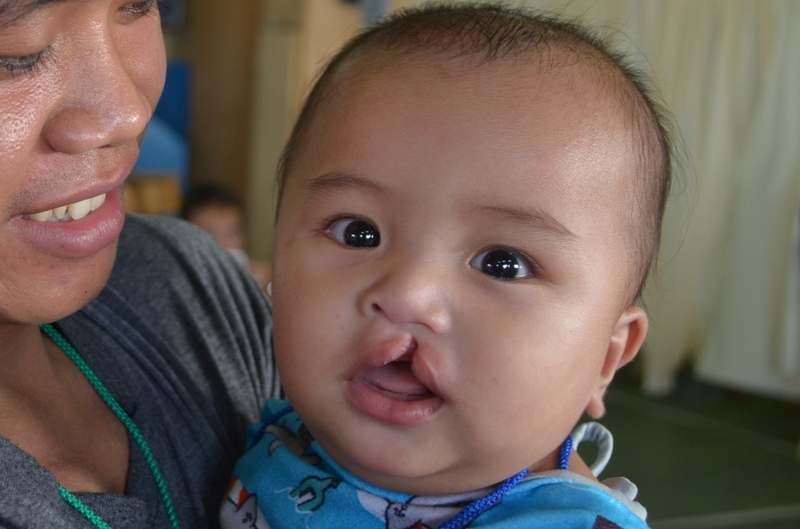 “Thanks to God for Rotaplast; because my child will have an operation. I show Kient his image from my camera. He gives me the okay sign. 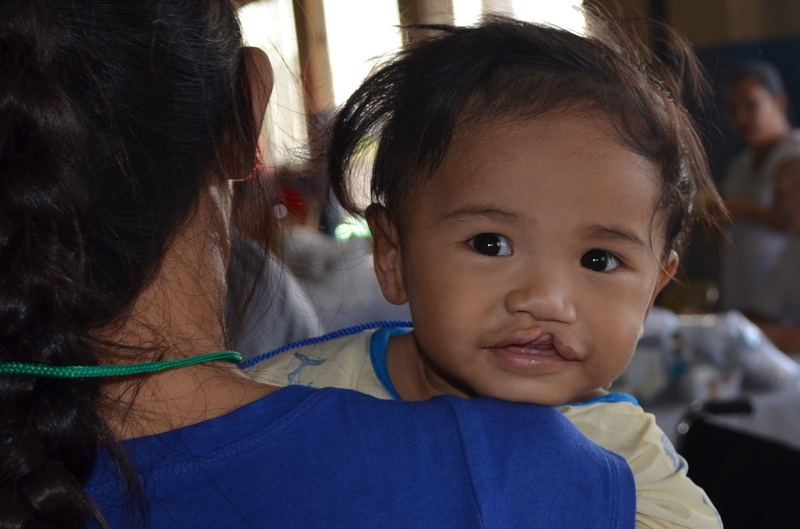 He and Maria express their thanks for Rotaplast and the team who helped give Kient a new smile. Kient still has a cleft palate. In time, he will be fitted with an obturator. A palatal obturator is a prosthesis that totally obstructs an opening. Palatal obturators are needed by individuals with cleft palate. The pink appliance is the obturator. A cast is made of patient’s palate. The obturator is then made to fit over the open palate. Dr. George Evangelista inserts an obturator for Orlando while members of the Philippine Dental Association Cebu Chapter look on. Five adult patients will be fitted tomorrow with obturators. Dentist and Rotaplast team member Dr. Chariz Asoy talks with Orlando. Rotaplast is very grateful for the support of the Philippine Dental Association Cebu Chapter.